Thousands of people make yearly pilgrimages to the Dead Sea to bath in the salt water, reputed to have medicinal value. Cherokee Valley is pleased to bring these exotic, all-natural sea salts right to your door, in 7 medicinal custom blends and 10 aromatherapy blends. We have combined Dead Sea salts with essential oils, medicinal herbs & flowers and/or gourmet soap slivers, to bring you a unique bathing experience. Treat yourself! Light a Cherokee Valley Treasure Candle, sip on a cup of tea and relax in a sensual, aromatic bath. WARNING: Women who are pregnant or nursing should NOT use bath salts. Our bath salts come in a beautiful, reusable metal tin with an inner rubber seal for freshness. Induldge yourself, or attach a ribbon/bow and you'll have a wonderful, inexpensive gift for any occasion! This floral combination of essential oils and delicately scented flowers is used to relieve stress headaches and ease depression. Lavender also has wonderful skin-healing properties, making this formula especially effective against all types of itching: vaginal itch, chicken pox, etc. INGREDIENTS: Dead sea salts, lavender essential oil, plus lavender flower buds. INGREDIENTS: Dead sea salts, rosemary, pink grapefruit, lemon and bergamot essential oils, plus lemon soap slivers. 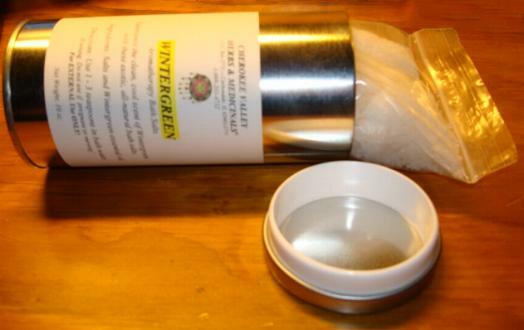 INGREDIENTS: Dead sea salts, eucalyptus, peppermint and camphor essential oils. INGREDIENTS: Dead sea salts, lavender, clary sage and rose essential oils, plus rose petals, rosehips & orange peel. INGREDIENTS: Dead sea salts, eucalyptus, peppermint and lavender essential oils, chamomile flowers and lavender buds. INGREDIENTS: Dead sea salts, patchouli, lavender and sandalwood essential oils, plus rosemary morning soap slivers. INGREDIENTS: Dead sea salts, rosemary and eucalyptus essential oils, plus seaweed, aloe vera and comfrey gourmet soap slivers. You'll picture yourself in a garden paradise with these luxurious bath salts. INGREDIENTS: Dead Sea Salts & gardenia essential oil. Envision yourself on the moors of Scotland with these richly scented bath salts. INGREDIENTS: Dead sea salts and heather essential oil. Experience the scent of a floral paradise with these all-nature bath salts. INGREDIENTS: Dead sea salts and carnation essential oil. The roses are in full bloom with this aromatic bath salt blend. INGREDIENTS: Dead sea salts, Rose essential oil & rose petal gourmet soap slivers. Experience the sensual waters of a tropical paradise with these exotic bath salts. Let this aromatic blend carry you away to a land where orange blossoms live all year. INGREDIENTS: Dead sea salts, orange essential oil and orange peel. Like a floral field these exotic bath salts will carry you to a land far far away. 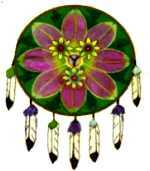 INGREDIENTS: Dead sea salts and Lily of the Valley essential oil. You'll be floating on clouds with this heavenly-scented bath salt. INGREDIENTS: Dead sea salts and Violet essential oil. 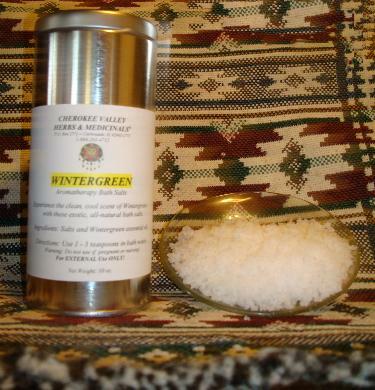 Experience the clean, cool scent of wintergreen with these lovely bath salts. INGREDIENTS: Dead sea salts and wintergreen essential oil. You'll feel surrounded by nature when you bathe in these sandalwood salts. INGREDIENTS: Dead sea salts and sandalwood essential oil.